Compile Heart's latest is a wild ride. You likely recognize the Compile Heart name from the ubiquitous Hyperdimension Neptunia series, which has made its way to the PS Vita several different times. 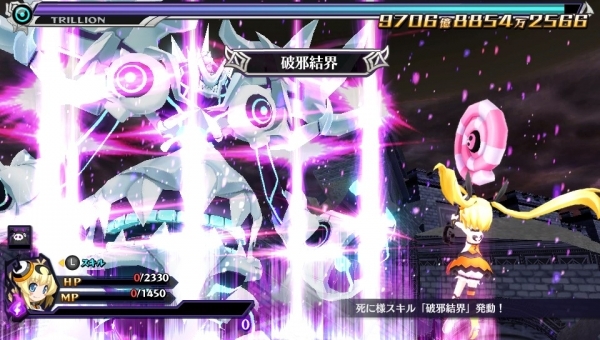 The company's latest, Makai Shin Trillion, is an RPG coming to PS Vita on July 23. The latest trailer features all the basics, such as training, buying items, using Booster Devils, and leveling up weapons. If it seems crazy, that's probably because it's going to be. When's the last time you ever saw a Compile Heart game keep things demure? The answer to that is never. Are you hyped for the newest strategy RPG? Wish it featured the Gamindustri Goddesses? It's time to branch out, don't you think?